Lovely princess Sofia's so nervous! She's going on a date, a Valentine's Day special date, this evening and although she's so very pretty, she's still counting on your help for getting her natural beauty a boost, by helping her enjoy a facial pampering session, and for helping her pick her dream princess dress and... a superb diamond ring (that her date, a handsome prince charming) will place on her finger! 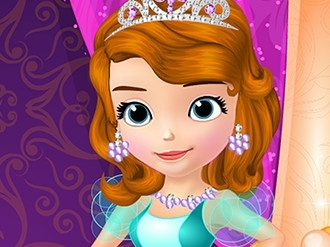 Play free game Valentine Elves on bestgames.pk.